Toronto councillor Giorgio Mammoliti is facing new allegations after CBC News learned he was involved in a $5,000-a-table fundraiser in Woodbridge last night. According to the City of Toronto's conduct rules, councillors are forbidden from fundraising outside of election campaigns — so questions remain about the purpose of the fundraiser. CBC News has obtained photos from the event at the Royalton Banquet Hall & Conference Centre, which was attended by several hundred people, including business people and city hall lobbyists. An invitation to the fundraiser obtained by CBC News says Mammoliti needs the money to help him "keep up the good fight" at city hall on behalf of Mayor Rob Ford's administration. The letter, sent out by the councillor’s son Michael Mammoliti, says cheques are to be made payable to the event’s organizer, Red Velvet Events Inc. The letter goes on to say that any contributions "will not be in any way a conflict." "We have obtained legal (counsel) and opinion to help guide my father through this fundraising process and eliminate any possible conflicts or code of conduct issues." Mammoliti didn’t return calls to CBC News for comment. A Ford official said Thursday that Mammoliti is in no way part of the mayor's inner circle and referred to him as a "lone wolf." Earlier this week Mammoliti, seemed to mock Ford over allegations that a video exists showing the mayor smoking crack cocaine. "Anyone got a pipe?" he said to a throng of reporters waiting outside Ford's office. "Can't anyone take a joke?" At least two councillors took issue after learning about Mammoliti’s pricey fundraiser. "Fundraisers are prohibited by city councillors until after the nomination period, which would be January 2014," said Coun. Josh Matlow. "So it is absolutely against the rules to fundraise a single penny." Coun. Joe Mihevc said the fundraiser was a complete breach of the code of conduct governing elected city officials. "If he is allowed to do this, it will open the floodgates for a number of councillors saying, 'Well, I want to augment my income, I can cry poor,' " he said. Municipal law expert John Mascarin said Mammoliti has some explaining to do over the money raised at last night's fundraiser. "The whole point is that you have to be ethical about things," Mascarin said. Earlier this year, a CBC News investigation revealed that Mammoliti had received $275,000 in mortgage loans from a pair of real estate investors after he helped them get permission to place billboards next to Highway 401. The councillor issued a statement in the wake of the revelations, saying the loans were "of a personal business matter" and involved "a company owned and operated by my now ex-wife." Mammoliti's sworn financial statements, submitted to court and obtained by CBC News, show that he was a 50 per cent shareholder of the two companies that received the mortgage loans. Mammoliti currently owes the City of Toronto more than $52,000 in legal and accounting expenses stemming from an audit of his 2006 election campaign finances. Under a deal with the city, the first installment of $11,978 is due June 8. At the same time, court documents suggest the councillor — who declared bankruptcy in 1997 — is facing a cash crunch. Sworn financial statements he submitted in October as part of his divorce list more debts than assets, and nearly $175,000 a year in personal expenses against his city salary of $106,000. 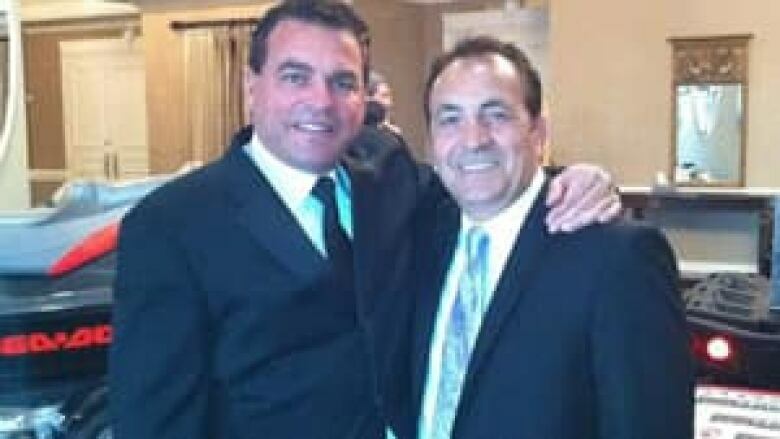 The statements say Mammoliti has borrowed $100,000 from one of his sons and moved back in with his elderly parents at one point last year.